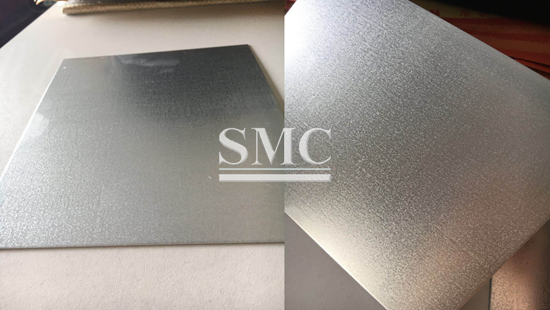 Magnesium Aluminum Zinc alloy coated sheet has excellent corrosion resistance, scratch resistance and good forming ability. 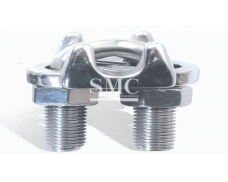 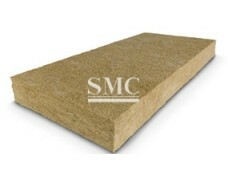 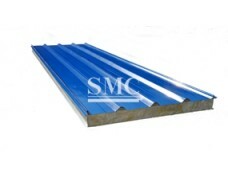 It can be applied in wide range of fields such as road/civil engineering, farming, construction, housing and others. 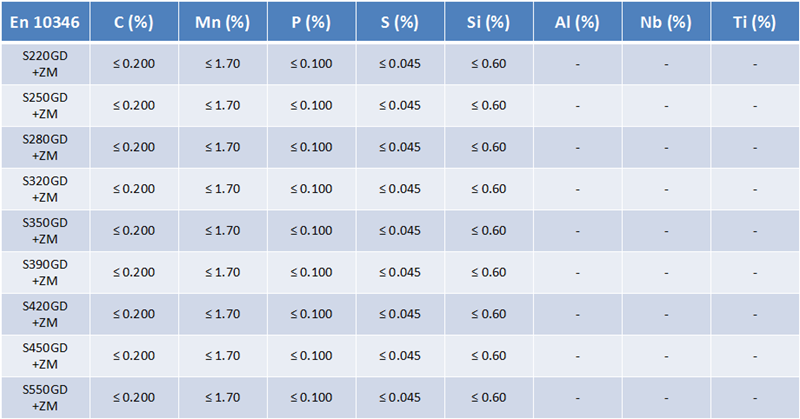 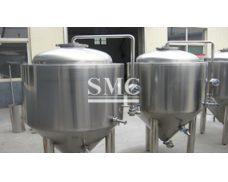 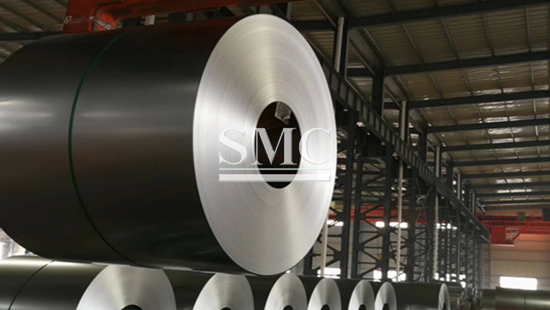 Shanghai Metal Corporation has succeeded to establish business relationship with clients in Europe and Southeast Asia. 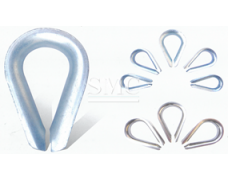 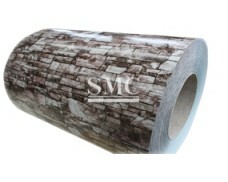 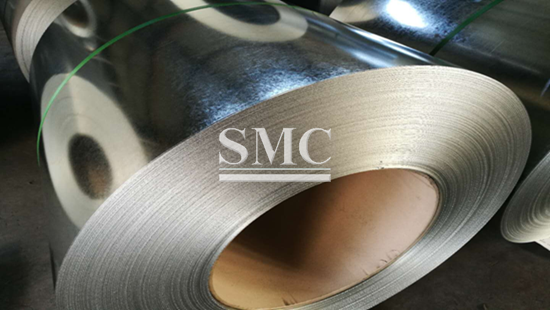 It is chosen to be the newest coated steel material which is widely used in steel structure engineering, power engineering, solar power engineering, etc. 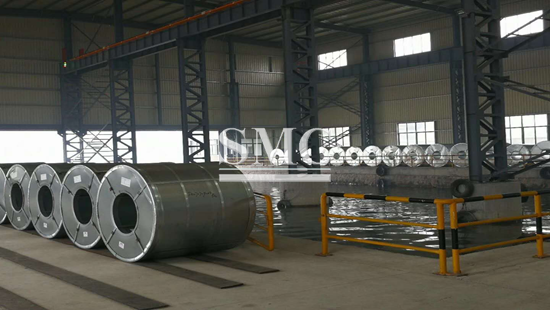 It is available in a very wide range of steel grades: steels for cold forming and deep drawing applications, structural steels and High Strength Low Alloy steels. 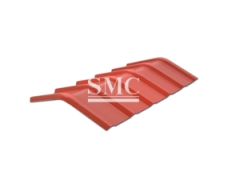 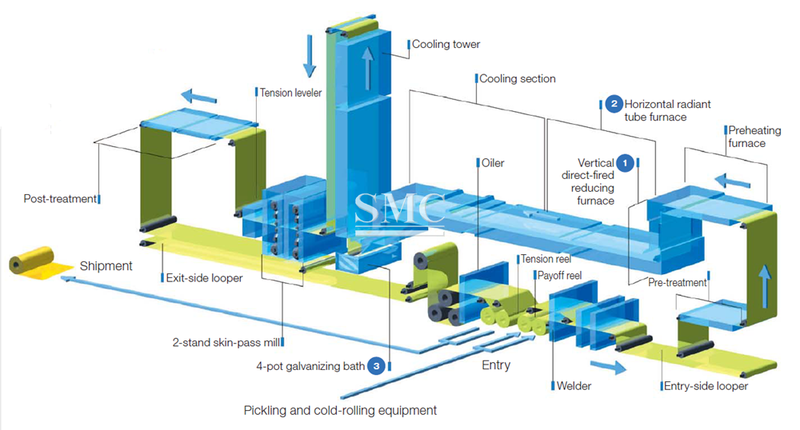 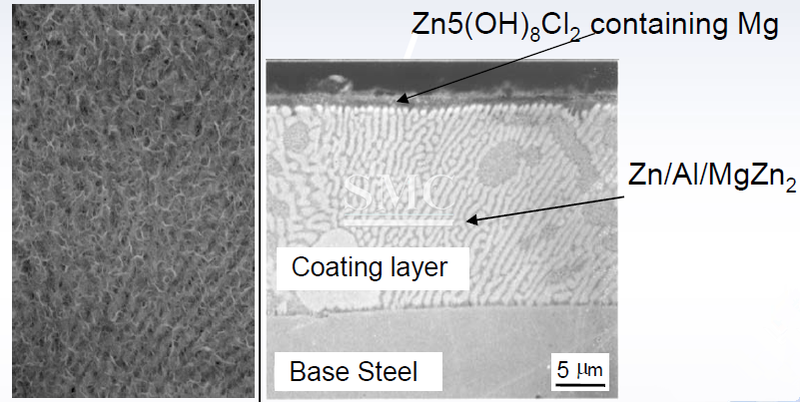 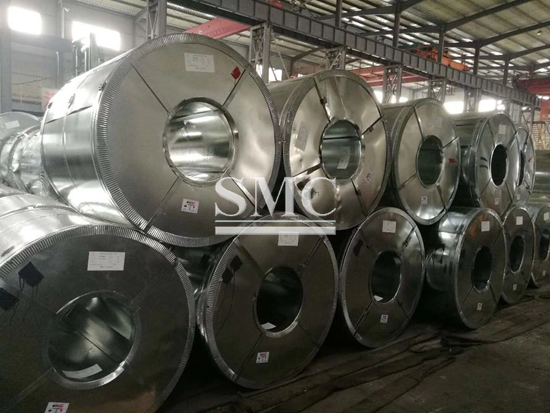 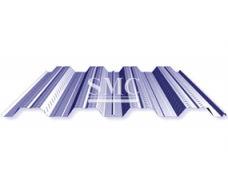 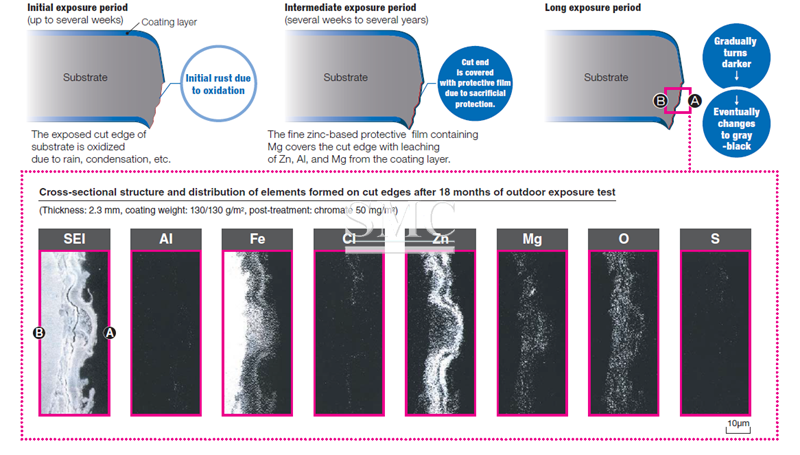 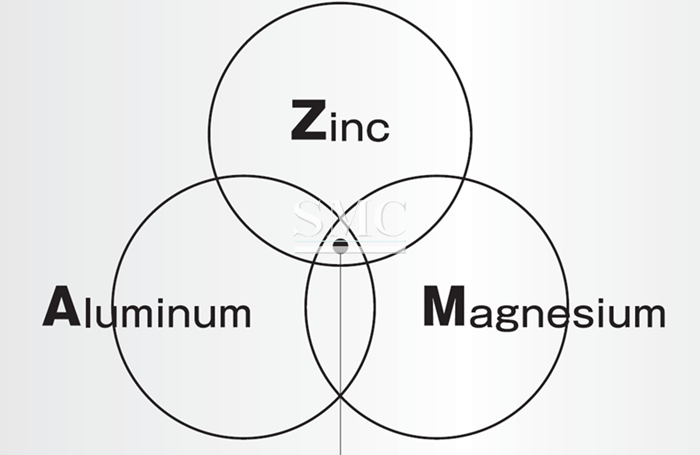 Mg-Al-Zn coated sheet is a highly corrosion-resistant hot-dipped coating steel sheet that has a coated layer of Zinc, 13% Aluminum, 3% Magnesium, and Silicon element.